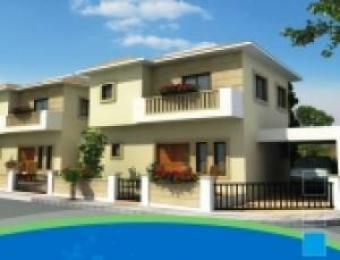 This elite development is located in the rural, coastal village of Pervolia, Larnaca. With Pervolia Beach coast just a kilometer away, residents and visitors can enjoy the delightfully secluded stretch of golden sand which gently shelves into the warm aquamarine waters of the Mediterranean. Retaining its natural charm, Pervolia is characterized by cobbled streets and traditional wrought iron lighting throughout the village square and surrounding area, and constitutes an unspoiled tourist retreat for discerning visitors. The development features a charming collection of 12 luxury villas, each spaciously designed to incorporate a magnificent kitchen, generous living areas, 3 bedrooms, en-suite master bedroom. This exclusive project is accessible via a private road which leads up to individual driveways and covered car parks. It is in close proximity to the village square and all shopping, educational, health, entertainment and other amenities. In addition, it is conveniently situated 5km away from the proposed 5 star Tersefanou golf resort and 7km away the Larnaca`s international airport and 13km away from Larnaca`s new world-class marina. The project is under construction and is currently 80% completed.